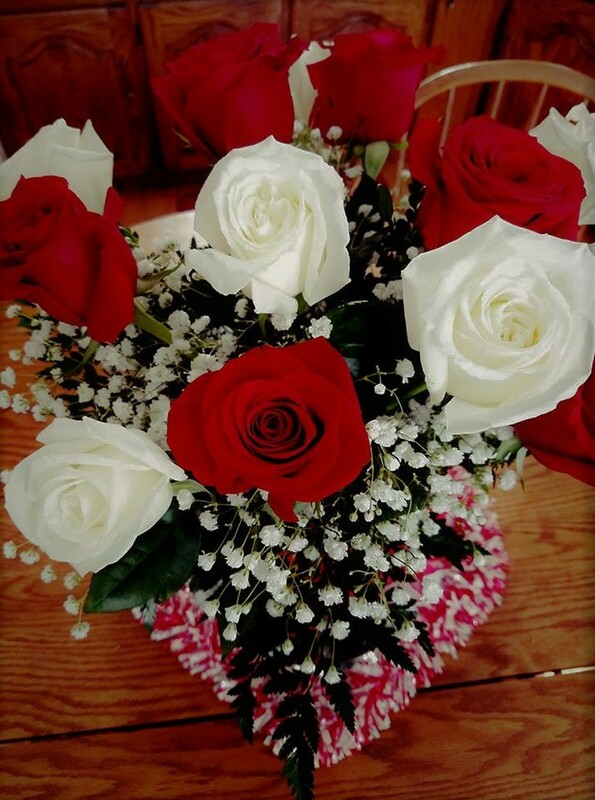 Flowers for Linda on Valentine's Day! Lewis Smedes's beautiful extended meditation on 1 Corinthians 13:4-7, Love Within Limits: Realizing Selfless Love In a Selfish World is, I think, the best book I have ever read on Jesus-like love. Love, among other things, is not jealous. It's not just persons we can be jealous of; we can also be jealous of things. I have met wives whose husbands spend more time fishing than they do with them. These wives are jealous of the sport of fishing. Of course the shoe can be on the other foot. A husband can be jealous of his wife's friends, or her family, or her job, or even their children if she spends more time with them than with him. Linda and I have been married for almost forty-five years. I remember a time when we were dating and I was at her house. I was falling in love with her. We were with her family when someone knocked on the door. It was one of Linda's old boyfriends! She stepped outside and talked with him alone. Feelings of jealousy flooded over me. As I was sitting there I looked on the table next to me and there was a little booklet entitled "How to Win Over Jealousy." God has a sense of humor, right? I began to read it. When her old boyfriend left I asked Linda, "What did he want?" "I told him you and I were dating. He said 'OK,' but would you still like to go to a play with me?" As I heard that I lit up! I couldn't believe he would ask her out, knowing she and I were in a relationship. Didn't I trust Linda? This event began to show me there was a lot of stuff inside me that needed healing. Smedes says that "agape love transcends jealousy without destroying it." What does that mean? It means the more possessive and controlling a person is, the more a normal, protective jealousy will turn cancerous. Pray for release from controlling others. Jealousy is painful, but with God it can be transcended. "But where there is Christian love, the power of agapic giving and sharing will prevent jealousy from building barbed-wire fences of self-protection against any sharing of love and loved ones." (29) Agape love is, among other things, the power of sharing. Pray for a heart filled to overflowing with Jesus-like agape love.